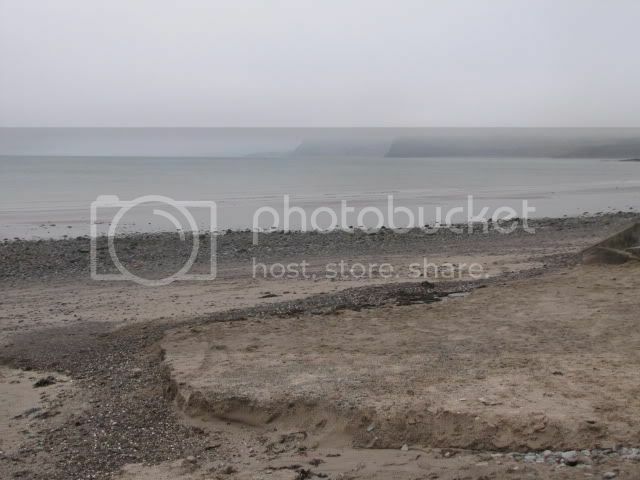 Posted: Thu Jan 12, 12 11:13 am Post subject: Porthdinllaen. I've never taken the fabulously beautiful area in which we live in for granted and consider myself extremely fortunate to live within just a few minutes walk from the beautiful beaches of Porthdinllaen, Most days outside the holiday season, will see me exercising Grace the labrador, either to the left in the direction of the Ty Coch public house, or to the right towards the town of Nefyn. 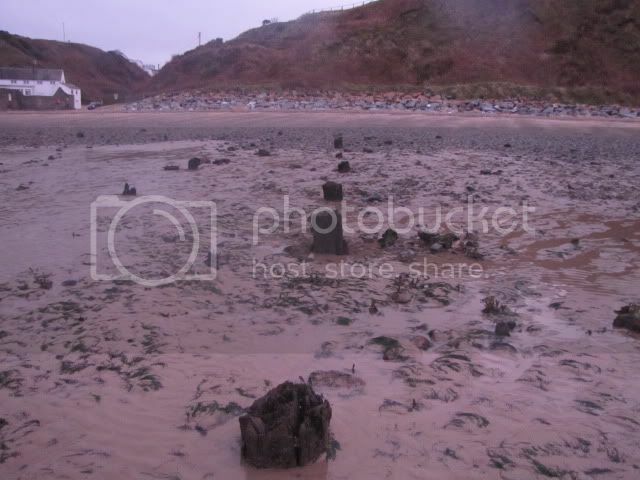 The recent strong winter storms have had an extreme affect on the beaches and in some places the sand has completely disappeared. What were once gently sloping sandy beaches have become much steeper and I certainly haven't seen them in anything like this state in all the thirty five years that I've been visiting or living in the area. One advantage of what will hopefully be a temporary change, is that the signs are there for all to see of what was once a bussling industrial past. 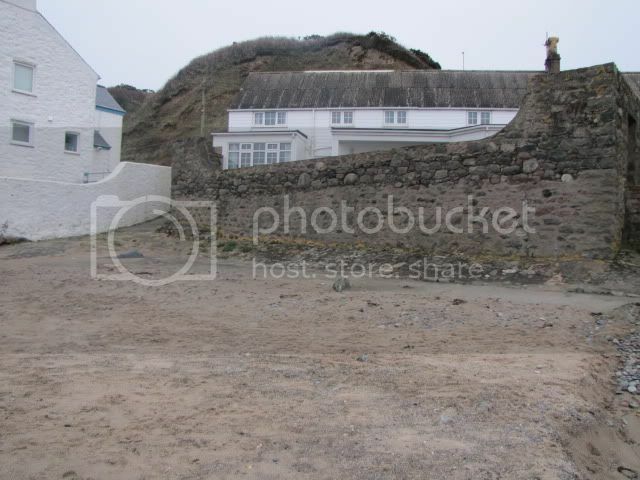 I don't imagine that many of the holiday makers that flock to Porthdinllaen these days can have an inkling as to just how busy this now tranquil holiday destination once was. Have a look at this for industrial archeology. Up until yesterday, I'd never seen it before. 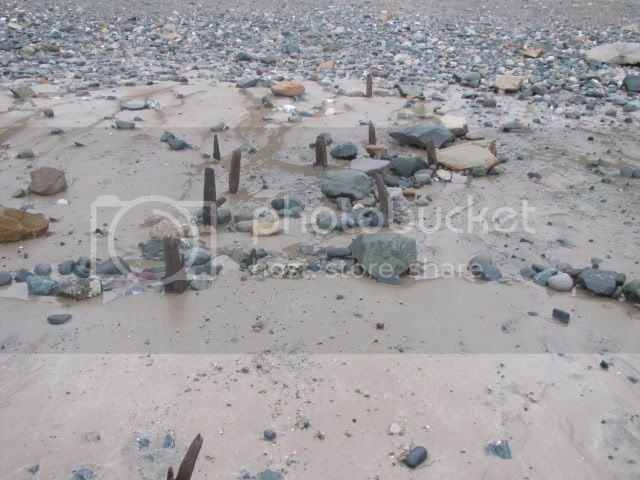 With the sand stripped away evidence of long forgotten wharfs and jetties have been revealed. To this day, the building on the top left of this photo is known by older locals as the coalyard. Its a desirable holiday home by the beach now of course but in days gone by, ships would beach themselves at high tide and their cargoes unloaded and carried up to it. There are old sepia photos around of horses being used to ferry it up to the yard. 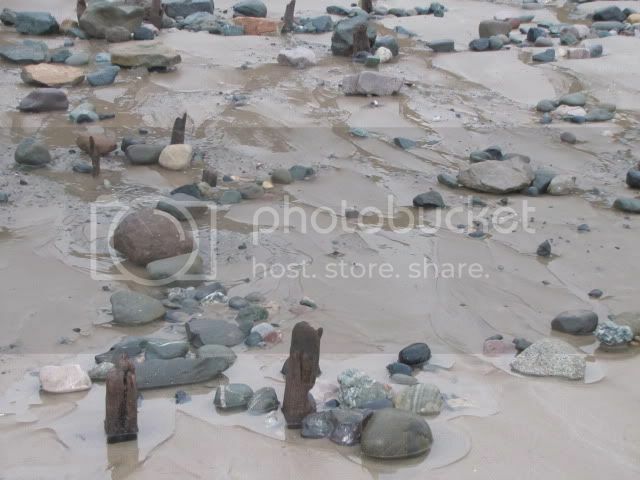 For centuries, a thriving ship building and repair industry was carried out on the beach and again, there are old photos of Porthdinllen which show rows of wooden ships along the beach towards the actual village of Porthdinllaen. Its all interesting stuff and I'm so pleased that I've been able to be witness to such an interesting taste of the past. 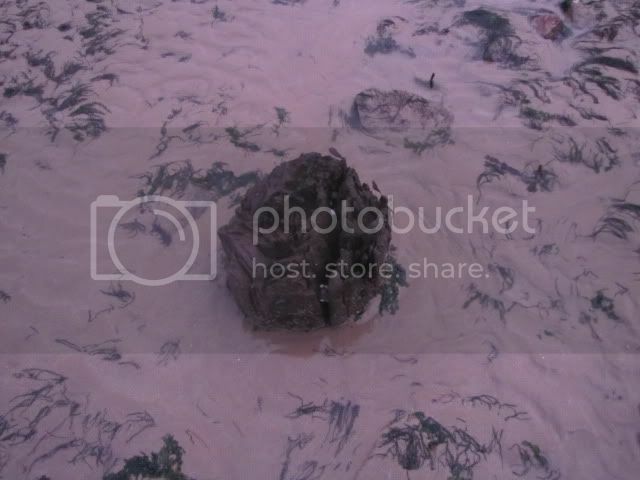 Hopefully however, the vagries of time and tide will soon once again restore the status quo of the beach and by the time the summer arrives, everything should be back to normal, with the countless bare feet of the holiday makers oblivious to what lies beneath them. You might care to have a look at these links. The sand'll be back soon enough. Interesting pics Bodger. Did you see anybody out with a metal detector? These are beautiful pictures, Bodger! When I lived by the eastern coast in North Carolina (USA), I'd take my children out to the Outer Banks Islands in January. The winter storms pushed a lot of large conch shells and beautiful driftwood up on the banks, while at the same time shifting the islands. Never were two summers or two winters the same on the beaches of the Outer Banks. 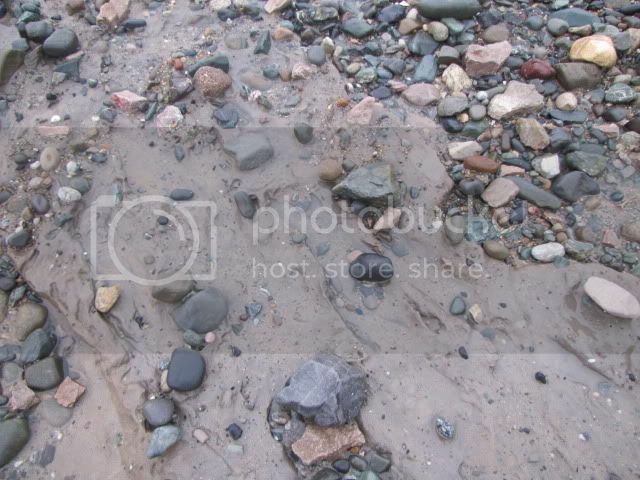 What was the normal level of sand when it was a working village?